New blackleg resistance labels will soon be added to cultivars, providing greater detail on a given variety’s resistance package for blackleg management. The canola industry – encompassing life science companies, producer associations and researchers – took the step in the hopes of helping to manage and mitigate blackleg in Canadian canola fields. Similar models of labelling have been used successfully in other canola growing regions around the world to help ensure resistance effectiveness, and recommend cultivars to use in severely infected fields. According to the Canola Council of Canada (CCC), the use of blackleg R-gene labels will be a voluntarily process for seed companies to include on their cultivars. While the industry is committed to providing the best genetics and advice to producers, it will take some time to effectively deploy and incorporate these labels. Current labels for blackleg are based on field ratings of blackleg in comparison to a susceptible variety (Westar) for blackleg. Typically only Resistant “R” (0-29.9% of Westar) and Moderately Resistant “MR” (30-49.9% of Westar) are on the market. In recent years, some growers have noticed increased blackleg severity in their “R” and “MR” varieties. This is where the addition of more detailed labels will help to provide more accurate information. Using the same disease resistance genetics over and over causes a shift in pathogen population, which can then overcome the resistance in our cultivars – similar to herbicide resistance in weeds. Knowing the resistance genetics used in previous years will allow growers to rotate to a different resistance gene and reduce the blackleg infection within a field. As many as 10 new blackleg resistance labels will be applied to varieties in the coming years. They will use these letters A, B, C, D, E₁, E₂, F, G, H, X to identify major resistance genes present. Blackleg management starts with scouting and identifying the disease on the previous canola crop’s stubble. 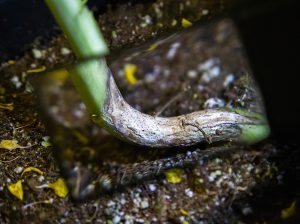 If a grower has a rotation break longer than two years without canola, and has been growing “R” rated cultivars, the risk of severe blackleg infection is minimal. But if a growers uses a tighter canola rotation and the disease is present and/or severe, the new additional label will come into play. Picking an “R” rated cultivar with at least one different resistance gene group than what was used previously will help to provide protection from the aggressive, new virulent blackleg race(s) within the field. In those cases where the disease is not present /evident in the field, then changing resistance groups would not be necessary. The most effective means for reducing blackleg disease is reducing inoculum or spore production in a field. This is accomplished by lengthening the break between canola crops in a field. But spores can also migrate from adjacent fields. Under these circumstances, using a canola cultivar with a different resistance gene can be very beneficial in protecting the field and reducing blackleg disease. In conclusion, the most important step is to scout for disease. If you do not have blackleg, choose varieties with the highest probability of profitability and reduced production risk on your farm. If you do have blackleg disease that is increasing, use the tools available to manage and reduce the disease. Switching to cultivars with a different resistance gene(s) is one tool. The traditional “R” rating means average field performance of blackleg resistance was below 30% of Westar, the susceptible check. The additional “(BC)” designation means the variety contains the resistance genes Rlm2 and Rlm3. The traditional “MR” means average field performance of blackleg resistance was 30-49.9% of Westar check. The additional “(A)” means it contains the resistance gene LepR3 or Rlm1. As an “R” rated variety, average field performance of blackleg resistance was below 30% of Westar check. “(CX)” means it ontains the resistance gene Rlm3 and an unidentified major resistance gene. 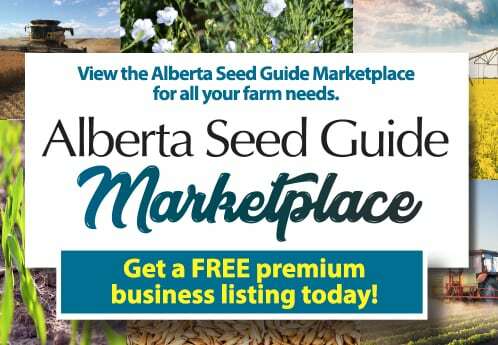 More information will available at www.blackleg.ca in May.